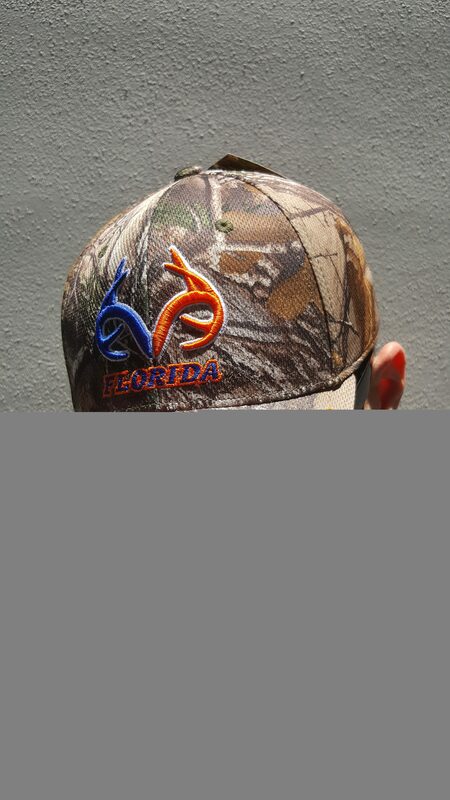 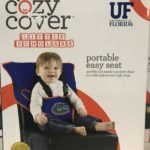 Real Tree camo Florida Gators hat. 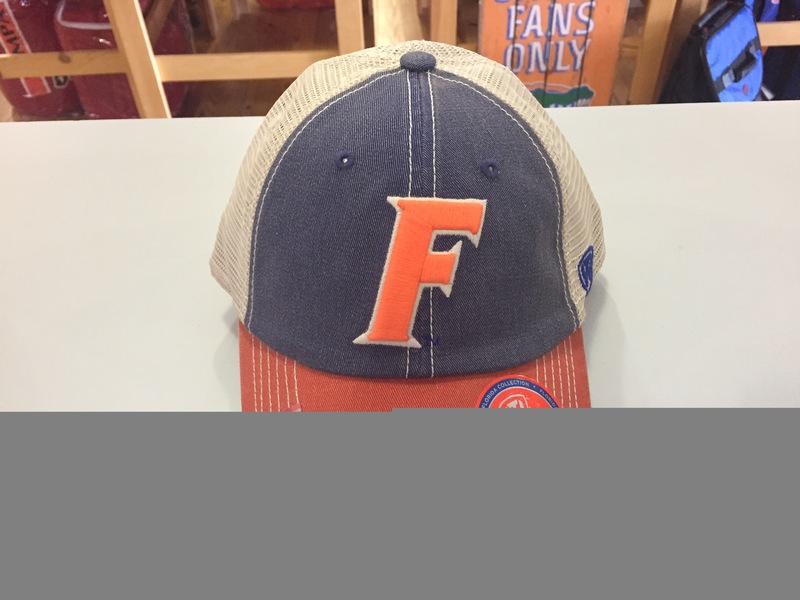 Real Tree camo Florida Gators hat. 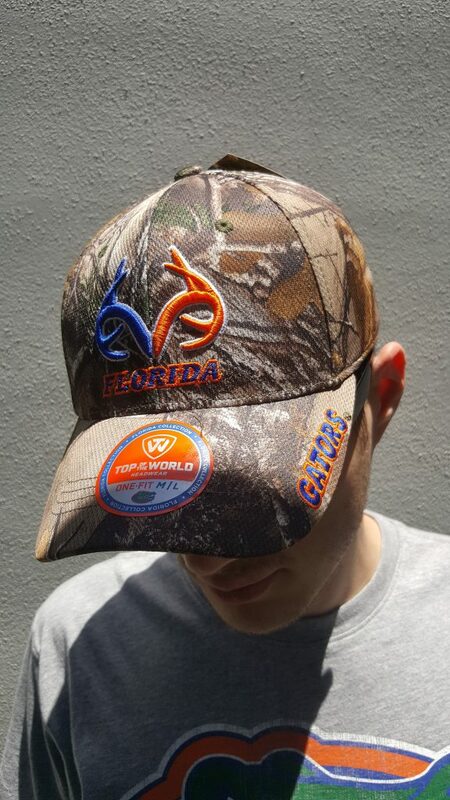 100% polyester by Top of the World. 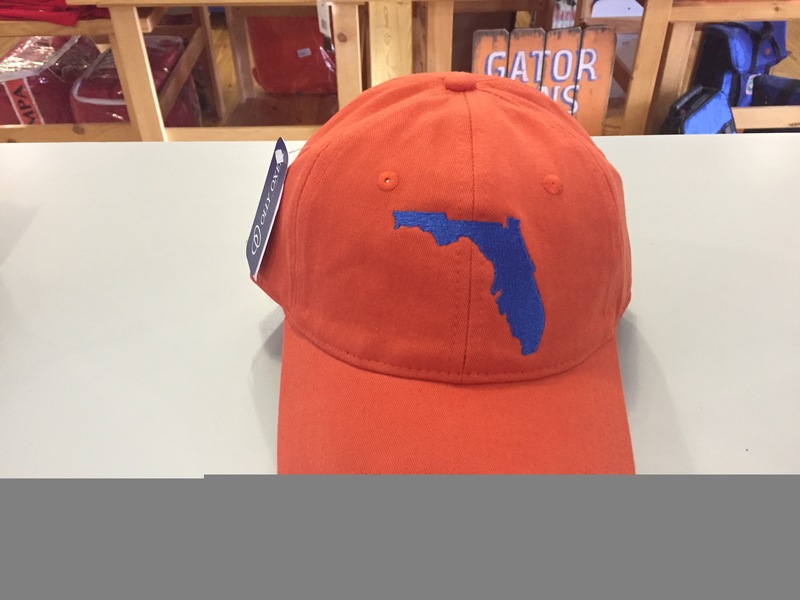 Antler logo in blue and orange with Florida word mark underneath. 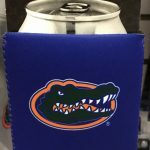 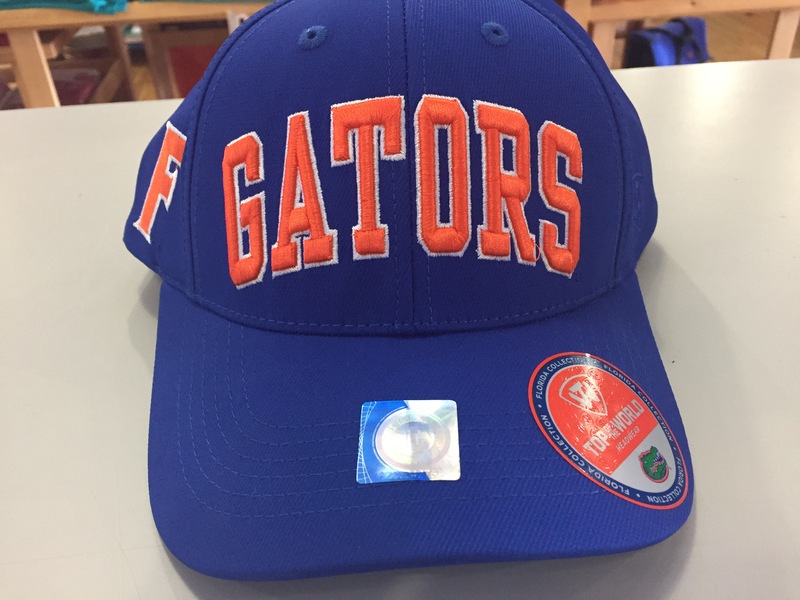 Gators word mark along edge of left side of brim. 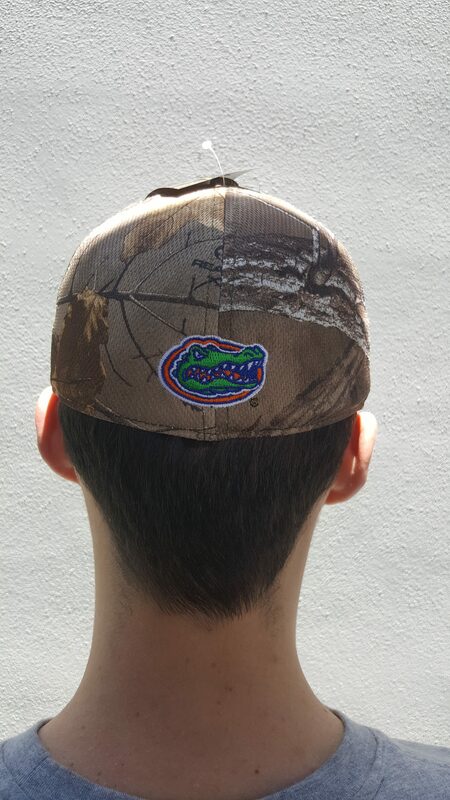 Hat body completely covered in Real Tree camo. 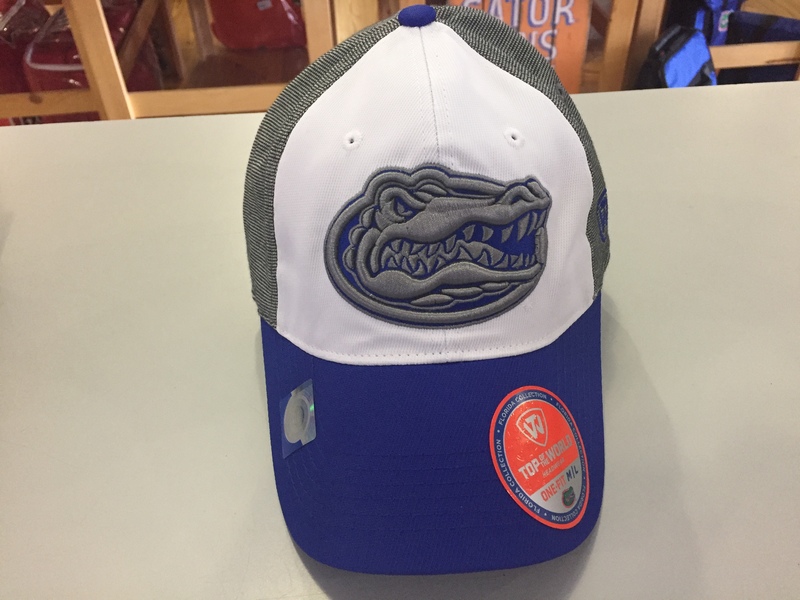 Memory fit enclosure with Gator head on back panel.